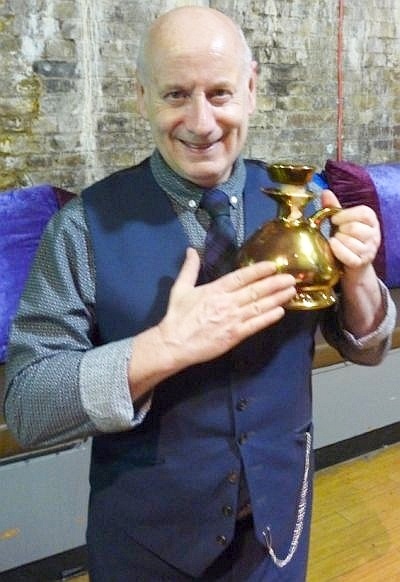 Monday 11th November saw the eagerly anticipated return to Vinopolis of Colin Dunn, Diageo Whisky Ambassador and recently deserved inductee into the Keepers of the Quaich. 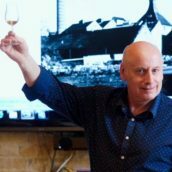 Star of such classic tastings as “Barley and the Chocolate Factory featuring Johnnie Walker” and “Jock, Choc and Six Smoking Barrels”, as well as a whole host of previous TWE events, Colin was present to take the attendees through seven whiskies from Caol Ila. The interesting twist was that it included two that he himself had not tasted before. For those that haven’t been, I’ll start off by saying Caol Ila isn’t the most romantic of distilleries. Rebuilt in the 1970s and containing six giant stills, it reminds you that beneath the craft that goes into whisky production, distilleries are, in essence, factories. However one thing that can’t be denied is the quality of the whisky that is made there. 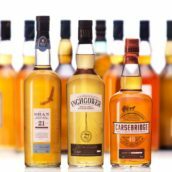 Many in the trade regard it as their desert island distillery, despite it being relatively unknown amongst the world as a whole, although awareness is growing – think the whisky equivalent of German Riesling. Due to planning restrictions and the size of the production, only about 200 casks from the distillery lie in the iconic warehouse there, with the remainder being stored on the mainland and the rest of the storage space being taken up with casks from Lagavulin. 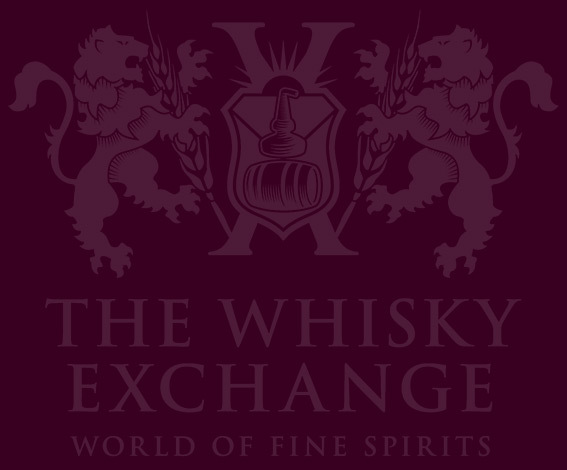 Of Diageo’s production as a whole, 92% is blended whisky leaving only 8% as single malt. 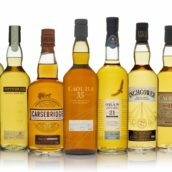 I don’t have the exact figures, but Caol Ila is probably not far off that themselves, with most of the production historically being used for their owner’s blends, such as Johnnie Walker. Surprisingly, that range, Colin told us, mostly uses stocks produced from unpeated barley. In fact, such was its suitability for blending that Caol Ila was only first sold as a widely available distillery bottled single malt in 2002. The distillery produces a style of whisky that isn’t too richly peat, as by only half-filling their stills they are able to produce a lighter, grassier type of whisky which is still intensely smoky. 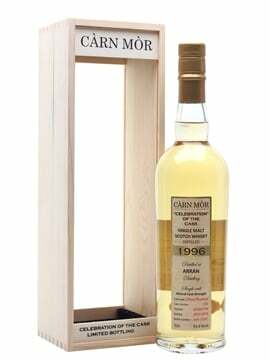 Caol Ila Moch – This is a no-age-statement whisky but approximately 8 to 12 years old. ‘Moch’ is Gaelic for ‘Dawn’ and this was introduced as the ‘breakfast whisky’ of the range – it’s of a lighter style than the entry-level 12 year old. Caol Ila 12 Year Old – The distillery’s youngest age statement single malt, this is consistently good and represents excellent value. Nose: An intensely rich nose of Shreddies and toffee with hints of violet. When left in the glass for a minute or two, smoky bacon notes were also apparent. 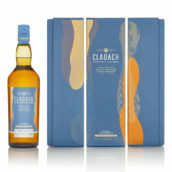 Palate: Fairly light in texture with notes of toffee, vanilla and pear joined by a hint of ash on the very back palate. Finish: Light in intensity, but not in complexity. The sweeter notes from the palate end fairly quickly, leaving a delightful subtle finish of ash, tar and light peat. Comment: Another excellent whisky for those who don’t like their Islay too peat-heavy. We tried this with some Cashel Blue cheese and as has been proven many times before, peated whisky and blue cheese are a match made in heaven. Caol Ila 14 Year Old Unpeated Sherry Cask – Part of the Diageo Special Releases from 2012, this is an example of the relatively rare combination of unpeated Islay spirit and sherry cask maturation. Nose: Rich nose with toffee, caramel, peach and guava present. Palate: Rather warming (as you may expect at 59.3%), with notes of honey turning into spicier white pepper and liquorice flavours. Finish: The spicy notes continue in a long, slightly drying, finish. Comment: A good choice for those who like spicier whiskies. We enjoyed this along with some high cocoa chocolates, which worked a treat. The unpeated release is a recently added expression to the range and is the style of malt often used in the Johnnie Walker blends, so is interesting to try on its own. Caol Ila 15 Year Old 22ct Gold Ceramic Bottle – A one off bottling produced for Caol Ila’s Italian importers, Zenith, better known under the name they were to take in the mid 1980s – Bonfanti Imports. Due to this carrying the ‘old’ company name and the 75cl size, we know this dates from the early 1980s at the latest and would therefore have been distilled in the 1960s or thereabouts, back when the distillery had its own floor maltings. Nose: A very waxy nose, almost like builders putty, with plastic and chocolate turning into bitter lemon and cucumber. Palate: Very oily in texture, juxtaposed against the fairly light flavour profile with the cucumber note continuing from the nose along with the bitter lemon, turning into smoke on the back palate. Finish: Medium in length with hints of cucumber delicately combined with ash and hints of peat. Comment: An intriguing dram, with the rich texture (you would think) and the lighter flavour profile being at opposite ends of the spectrum, but somehow managing to balance each other perfectly. Caol Ila 18 Year Old – The middle-aged expression from the core range, but not one suffering any sort of mid-life crisis. A refined and elegant malt, with the ageing taking the edge off the peat, as the effect of the wood enhances the other flavours. At under £75 for an 18 year old Islay malt, it’s priced pretty well too. Nose: A rather subtle nose compared to those that have gone before. Hints of peat, vanilla and liquorice. Comment: A well aged whisky, elegant yet full of flavour. I can imagine myself slowly sipping this as a postprandial dram. Caol Ila 20 Year Old 150th Anniversary Bottling – A one off bottling given to the employees of the company in 1996 to commemorate the 150th anniversary of the distillery, and never commercially available. The distillery manager chose what he considered to be the best cask in the warehouse at the time that was worthy of such a bottling. 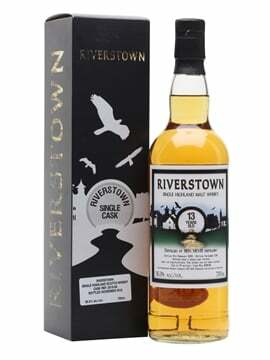 The back label carries the name of the staff who worked at the distillery at the time of release and it is bottled at the accurate strength of 57.86%. 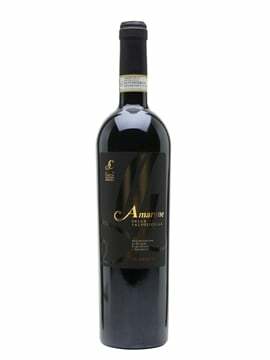 Nose: Almost luscious nose, with chocolate, parma violets and a hint of struck match. Again, as with the 12 year old, smoky bacon notes appeared when left to sit. Palate: What can only be described as a veritable explosion of flavour on the palate, with soot, grapefruit and passion fruit the most abundant. A big whisky, this is almost south coast of Islay in style. Finish: Very, very long, with a rich and creamy texture and tropical fruit flavours in abundance. Just exceptional. Comment: Sometimes almost ‘mythical’ bottlings don’t live up to their hype, but this is one that certainly does. My overall impression was just one word long – ‘wow’. If you have a chance to ever buy a bottle of this, almost whatever the cost, I’d say go for it. This is one of those whiskies that is going to be up there in my top whiskies for a long, long time. Incidentally one of the other two on the podium is also a Caol Ila. Caol Ila 25 Year Old – First introduced in 2010 at the ‘standard’ strength 43% after a previous cask strength edition, this is the oldest expression in the core range. Incredibly complex yet mellow, this is an elegant example of Caol Ila and shows that Islay whiskies can be exceptional without necessarily having a huge peat punch. Comment: For me, the best all rounder of the evening, fantastic balance and to be able to buy a 25 year old bottling of Islay whisky for under £150 is rare nowadays. A big thank you has to go to the ‘eloquently-dressed as always’ (pocket watch and all) Colin for spending his evening taking us through the range of fantastic whiskies in his usual informative and affable manner. The word inimitable is almost overused these days, but there really are very few words that describe him better. @TWEBlog @ColinDunnWhisky my newborn daughters stopped me attending this! Very sad to have missed it sounds amazing. Nice write up too.